Is Hotels.com Rewards Program Worth Anything? | No Mas Coach! Home » First Class Travel Blog » Is Hotels.com Rewards Program Worth Anything? 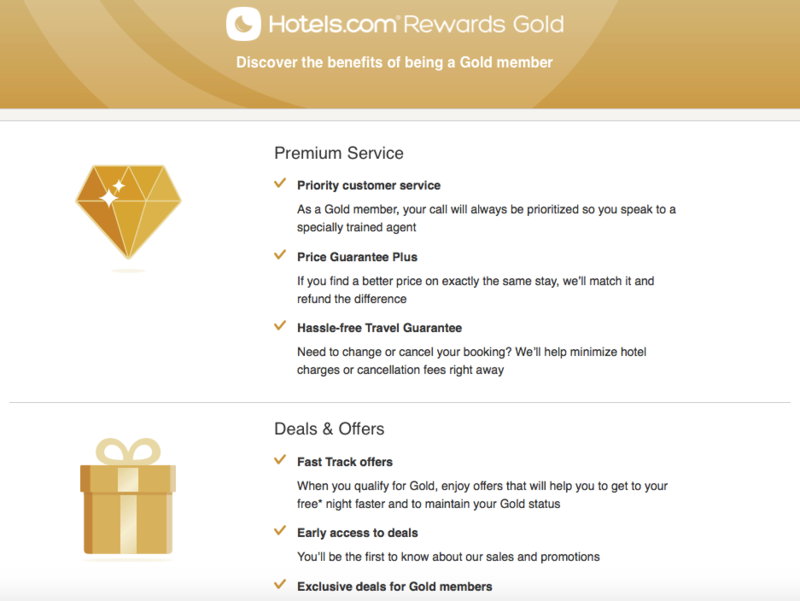 Is Hotels.com Rewards Program Worth Anything? Reading any blog today (including our own) you’ll hear about the benefits of SPG and Marriott Platinum, Hyatt Globalist, Hilton Diamond, but seldom will you see anyone touting the benefits of a Hotels.com elite membership. While often overlooked, Hotels.com offers a fairly robust rewards program with excellent benefits. 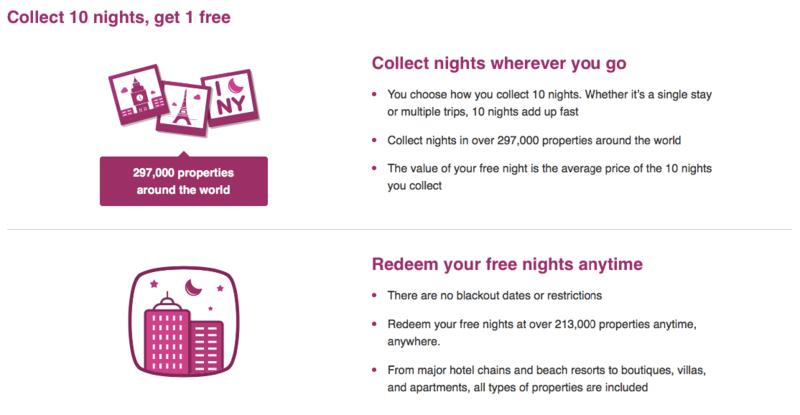 Hotels.com offers a very simple value proposition. It doesn’t matter which hotel you stay at, nor does it matter which loyalty program them belong to. You’ll get 1 free hotel night after 10 stays. The value of the free stay will be an average of your previous 10 nights. 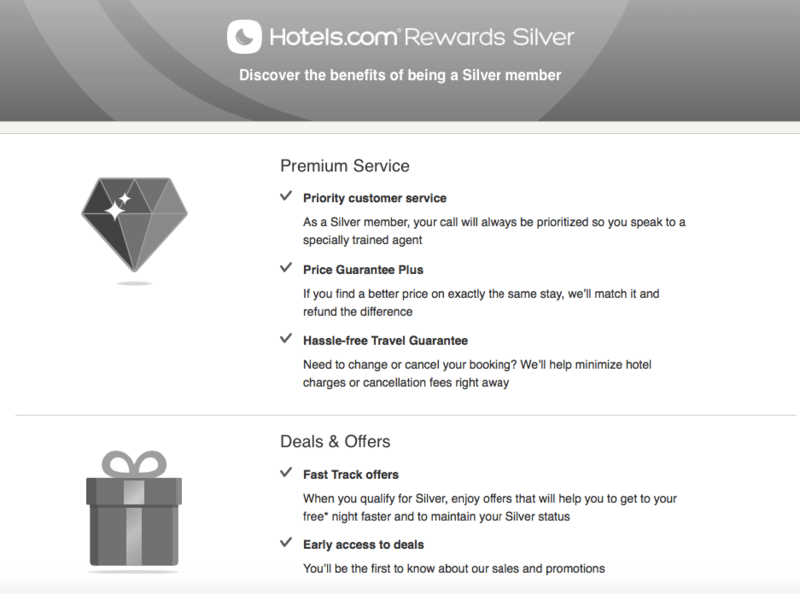 Hotels.com offers two elite levels, Silver and Gold. After 10 nights in a rolling 12 month period you are elevated to Silver Status. You’ll get better customer service and a price guarantee. It’s nothing too spectacular, but the dedicated customer service line is a nice benefit. After 30 nights in the same rolling 12-month period you’ll earn Gold status. The benefits once again are fairly similar, except for the access to the secret sales and an improved customer service line. I know it doesn’t seem like anything too special, but there have been a couple of occasions when I needed to use the elite customer service. Twice I’ve made reservations for non-refundable reservations and my plans have changed. I managed to get the customer service to contact those hotels and not be charged a penalty. I remember I made a mistake once and booked a Monday-Tuesday reservation when I needed a Tuesday-Wednesday reservation. The hotel showed as sold-out but the customer service was able, somehow, to talk to the hotel and get them to allow me to make the change. I’m fully convinced that if I was just a normal non-elite member, this would have been nearly impossible. So long as you make at least 1 reservation per year or redeem your free nights at least once per 12 months, you won’t lose your free nights. The expiration “resets” after every reservation. Currently, we’ve got an expiration date of January 5, 2019 and it keeps moving ahead with each new reservation. Some people claim that you can’t have elite benefits or recognition at chain hotels (like IHG, SPG, etc) when you book third party. That hasn’t been our experience. I’ve had to book two stays at Holiday Inns and gave them my platinum number at checkin. They’ve processed a room upgrade and given me welcome bonus points both times. The one time I had to make a reservation at a Marriott with Hotels.com the same happened. I gave them my platinum number at checkin and was given lounge access and free breakfast. While the stay didn’t count towards my elite nights/status, at least I did get the perks for being Platinum! 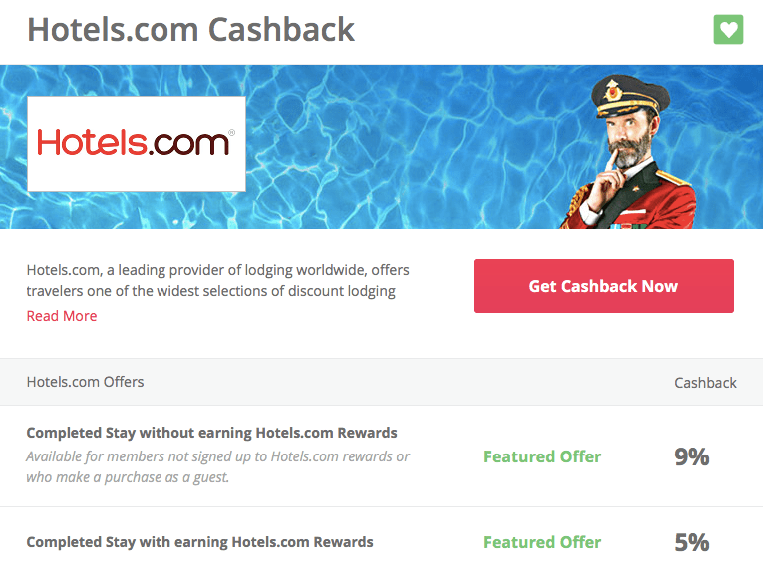 While you’re earning effectively a 10% return by booking at hotels.com, you can stack this with a cash back offer at TopCashBack. Right now they’re offering an additional 5% cash back on all bookings when you use your TopCashBack link. The cash usually posts to your account about 2 weeks after your stay is completed. This year we’ve earned at least $800 in cash back from doing this ON TOP of all the free nights. If you don’t have a TopCashBack account yet, here’s a link to sign up. As with most referrals, we’ll earn $10 and you will as well. At time of posting the bonus has increased to $20.18, so that’s more than double the normal signup bonus. Thanks in advance! I suppose like all things in life, that depends. If you’re the kind of traveler that doesn’t care which hotel you stay at and are just looking for a good deal, then yes. If you want to earn points in a specific brand and build loyalty that way, then no. The good news is that you don’t have to worry about doing everything in one calendar year. If you’re an infrequent traveler this is great. It could take you two years to get a free night and that’s totally OK! All the other programs reset on January 1st, making it tough to get your status as a casual traveler. Are you going to give hotels.com a try? Don’t forget to sign up for TopCashBack before you do! If you go to hotels.com from a portal like Topcashback, the price is almost always inflated by about 5%, sometimes more. That’s a nasty trick most booking sites play. I don’t think this is true. I’ve made dozens of bookings, and always use Google or Kayak to compare prices first, and only then click through Topcashback. I’ve never found a different price by going through Topcashback. I can also verify that is not true. #FakeNews 🙂 I’ve done this for years and the pricing is exactly the same. I have experienced this with both Agoda and Hotels.com, especially on Firefox. Also worth mentioning that there are frequent deals through Amazon, Swych, Newegg, and maybe others for discounted Hotels.com gift cards. Stacking these with cash back and the rewards program can give you as much as 35% off. I spend 10 nights at $100, that’s $1000. Then I get a night for free at $100. That’s a 10% return. Am I missing something?